Being a Human Rights Activist in Uganda is un-lawful in Uganda right now! 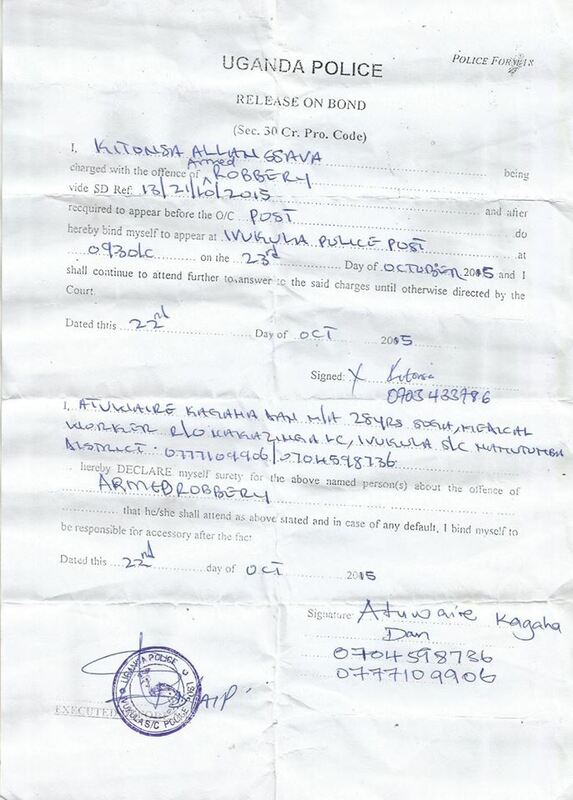 Justice is a trickey thing for the UPF and IGP Kale Kayihura, what you say? “I was arrested and charged armed robbery as I was found speaking to the youth of Namutumba district”. That what he said himself, and I believe him, people has been kidnapped for wearing the wrong shirt this year. So Allan Kitonsa Ssava continue your work and struggle. You have been unjustified by the law enforcement in the country. But we who look and want accountability in the country! For you and all the other ones who speaks to empower the youth!